Here Are The 5 Things China Can Do Next? 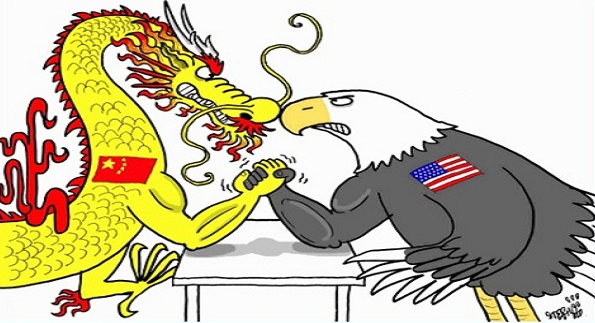 China has unleashed its triad of asset market weapons as a pre-emptive strike against some of the US trade sanctions rumored to be announced in coming days and weeks. I emphasize the trade angle because it was mentioned explicitly in the Bloomberg story. It is hardly the major issue facing the Treasury market these days. So there was a desire to draw explicit attention to it, even though publicizing China's concerns on Treasury's almost certainly does damage to the valued of its reserves portfolio. 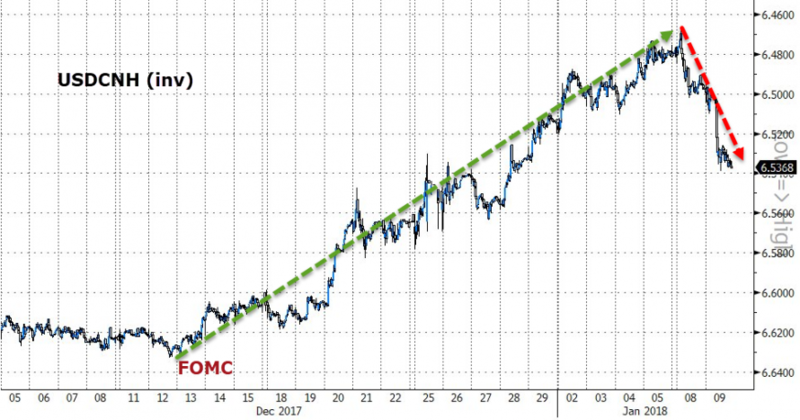 1) Indications of backing away from US Treasuries (and quite possibly USD, although not explicit) -- yesterday's move may have been China putting on steepeners in anticipation of the market reaction on publication of the story. The Bloomberg story gave the impression it was high level sources intentionally sending the message, so they were certainly aware of the impact. 2) Dropping the counter-cyclical factor in CNY reference rate quotes. It can be portrayed as a market reform move, but it certainly seems to have had the effect of nudging CNY weaker. 3) Encouraging development of a non-USD clearing system for trade​. This is ongoing. Part of this is encouraging RMB in reserves so as to provide liquidity in trade and trade financing but so far this is limited. For example, there was a recent announcement, cheered in China, that China-Pakistan trade and financial transactions would be conducted in CNY. At present, Canada and Australia together are four times as big as CNY in global reserves, so they have a ways to go yet. Creating an alternative to the USD-based international financial system is an important political as well as financial goal. They do not want to face a US threat of being excluded from the international clearing system down the road. The rise of CNY in reserves is a good signal of how far down this road they have progressed, but is not the main prize. The market reaction so far is strongly negative bonds, pretty much globally, and somewhat negative equities and USD. EM FX is under pressure, while Europe and JPY are up. 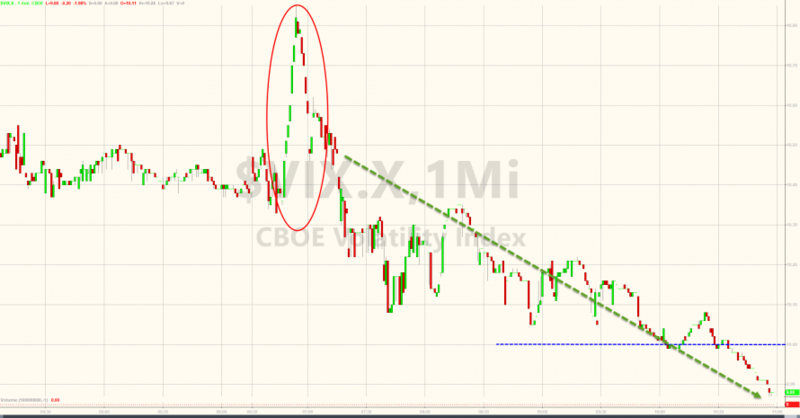 The PBoC also managed to get the VIX over 10, something the Fed could not do. 1) Having sold Treasuries, what are they buying? Low yielding EUR and JPY assets are not very exciting. They could be buying US bills, steepeners and inflation breakevens, but that hardly comes across as a big political statement. Commodities are a likely possibility, but in the short term it is more likely they park the receipts from their bond sales in safe G10 assets..
2) How would they measure success? I doubt the US is too worried about USD weakness today. 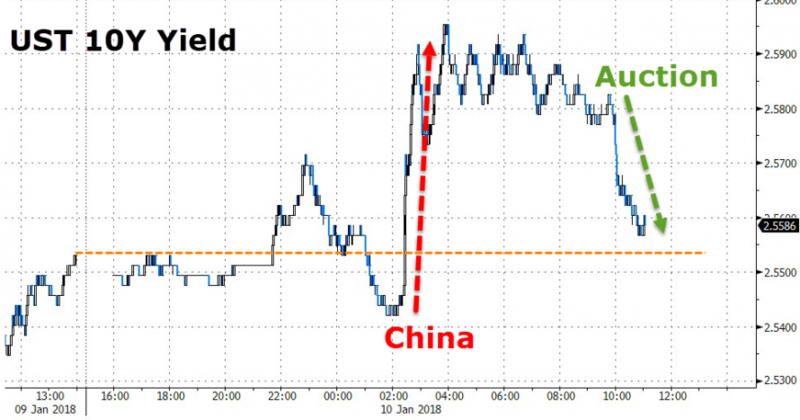 It is unlikely that China could have hedged their bond portfolio completely so China's USD and non-USD bond holdings have probably taken a decent sized hit today. The best outcome for China would probably be if asset markets sold off short term (as is occurring), but bounce back when China recommits in statesmanlike fashion to being a steady hand in managing the global financial system. 3) How will they react to the rest of the world saying "Thank you for appreciating my currency, raising my bond yields, and putting downward pressure on equity prices?" China's move, if pursued or if it unleashes other concerns, could raise questions about the longevity of a bull market that was finally putting to bed the legacy of the GFC, the EZ debt crises and the EM sell-offs of recent years. If their bilateral trade dispute with the US leads to a global asset market sell-off, their case for establishing themselves as an alternative global financial lynchpin weakens. Most likely they take very limited actions, even pull back some of the comments, but imply this is a warning that they can retaliate if the US is too aggressive or irresponsible. 4) Can they afford for asset markets to blow this off completely and yet again 'buy the dip'? For any threat to be credible, the impact probably has to last more than six hours. If there is a wave of market-close buying of assets, any future retaliation would have to be even stronger, and this would carry risks both to China and other countries. 5) Should we follow their investment advice and sell bonds? Setting aside the price of washing machines, we have been puzzled in recent weeks by how complacent markets were in pretty much ignoring the growth and investment consequences of tax reform (they are not big but don't have to be at this stage of the cycle) and the move up in inflation breakevens, while assuming that the 2018 Fed was steadily drinking dovish kool-aid. The dramatic nature of the moves in the last couple of days catches the eye, but we have liked the case for steepeners for a while. If inflation breakevens are moving up and you can't name a single major central bank that is not deciding its next normalizng/tightening move, maybe part of the market reaction is just being caught flatfooted in stale trades. Bonus advice to China: It's easier, cheaper and risks less unwanted spillover to wave USD100k in a trailer park, get a dossier and derail the US government from any significant policy action for another two years.